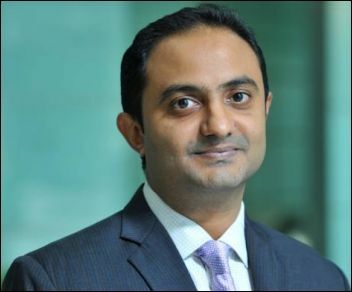 2019 appears a story of two halves for Indian equities - a more difficult first half might precede a stronger second half, said Abhiram Eleswarapu, bottom, left, Head of India Equity Research, BNP Paribas in an interview with Ashley Coutinho. Your outlook for the market for this year? 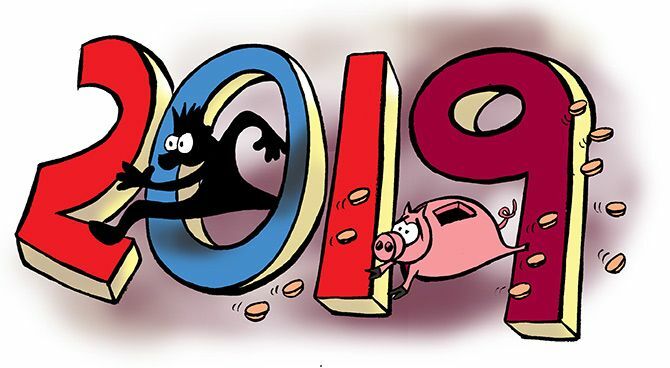 The past year was challenging, with the Nifty marginally down and held up only by a handful of stocks. The BSE mid-cap and small-cap indices are down 20-30 per cent over the past year. Macro factors such as trade wars, oil prices and currency have fluctuated significantly, making it more of a trading market than one for investing. To us, 2019 appears a story of two halves for Indian equities; a more difficult first half might precede a stronger second half. India is rated ‘neutral’ in our Asia ex-Japan model portfolio. We have a 40,000 year-end Sensex target, which presents about a 12 per cent upside, though we expect most of this to play out in the second half. Do Indian markets look overvalued at this stage? The Nifty trades at about 17 times its estimated one-year forward earnings and 2.5 times the price-to-book (P/B), slightly above historical levels. This is not egregiously expensive on an absolute basis but more expensive than the usual relative to Asian peers. This valuation is also based on the consensus forecasts that are calling for Nifty earnings growth of 12 per cent in 2018-19, followed by a sharp pick-up to over 21 per cent growth in 2019-20, which carries a risk of being too optimistic. Your view on mid and small-caps as investment bets? Mid-cap and especially small-cap valuations have certainly corrected from the highs of last year. The mid-cap index, however, still trades at similar valuations as the Nifty, though small-caps are well below the historical levels. Some of these stocks have fallen for good reason, whereas others might have been unfairly penalised and, thus, present buying opportunities. In the long term, we are sector or market-cap agnostic and focus more on a methodical bottom-up approach to stock picking that has so far served us well, despite volatile markets. Our process emphasises firms with proven competitive advantages and quality of earnings, with the aim of picking winners across sectors. Several mid- and small-cap names across sectors feature in our recommendation lists. Our current positive recommendations include select private banks, non-banking financial institutions and insurance, consumer discretionary, energy and tech sectors. Do you see a sustained recovery in corporate earnings in the coming quarters? Yes, we expect corporate earnings to improve gradually. Much of this is predicated on the back of continued policy reform domestically, asset quality improvement at banks, the interest rate cycle pausing and recovery in corporate capex. All these factors are opportunities and earnings drivers but also present risks if they do not pan out as expected. Positives for the market this year? The positives include a potential earnings revival, most likely towards the second half. And, low inflation, led by cooling of food prices. India could eventually stand out in a setting of synchronised global slowdown, with marginally improved Gross Domestic Product (GDP) growth in 2019. Some coincidental high frequency data that is favourable includes strong cement output, rising capacity utilisation and investments, and credit offtake growth at a multi-quarter high. We see a capex recovery by FY20 as the rate hike cycle ends and bank asset quality issues to be resolved in the next year or so. We expect the dollar-rupee rate to marginally depreciate from here on to end FY20 at 72 and FY21 at 73.5. The negatives, however, are more front-loaded. Automobile sales, the export-import trend and freight traffic growth rates slowed in the third quarter of FY19. A volatile currency and unpredictable politics could remain a concern. Despite some correction in the second half of 2018, oil prices could continue to rebound in the first half of 2019, coinciding with national elections in India. Valuations are not terribly expensive but earnings forecasts are factoring in a sharp recovery. What bearing will the elections have on the markets in the coming months? The fiscal deficit position usually tends to worsen ahead of elections and improves in the first year after an election. The government’s FY19 fiscal deficit target is 3.3 per cent of GDP and might need to be relaxed a bit, considering Goods and Services Tax collections continue to disappoint. They are consistently below the Rs 1 trillion monthly target and there could be additional pressure from measures to alleviate rural stress. An analysis of index returns around the national elections over the past several cycles shows the market favours a clear and majority mandate at the Centre, and decisiveness by a new government. If evidence of the above increases, the market could rally well before the elections but extrapolating recent state election results suggests this might not be the case. Continue your SIPs in 2019 please! Ahead of polls, how should you invest? How will the Indian markets fare in 2019?